On Labor Day I headed back down to look at the car again, taking my oldest son and a floor jack to allow me to check the car out more fully. By this point I knew what I was looking for, after providing photos and details to the two guys that maintain the Scarab Registry. Trevor and Craig are generally regarded as the foremost experts on factory Scarabs. This inspection revealed some positive and a few negative surprises. After taking quite a few more detailed photos we headed home. I asked for a week to decide if I would make an offer, after calibrating their expectations in terms of the car’s value and my interest in taking on a project of this scope. After putting a pencil to what the car would need, and associating costs with each item, I decided I would offer no more than $6,000-7,000. For that price I would be thrilled to get the car, but also would happily let it pass if we couldn’t arrive at a mutually agreeable deal. I called Gerry to tell him where I was at, fully expecting him to decline my offer. He said we weren’t that far apart, as they had been thinking $7,500 after my first visit. We finally settled on a selling price of $7,000, which I felt was fair. 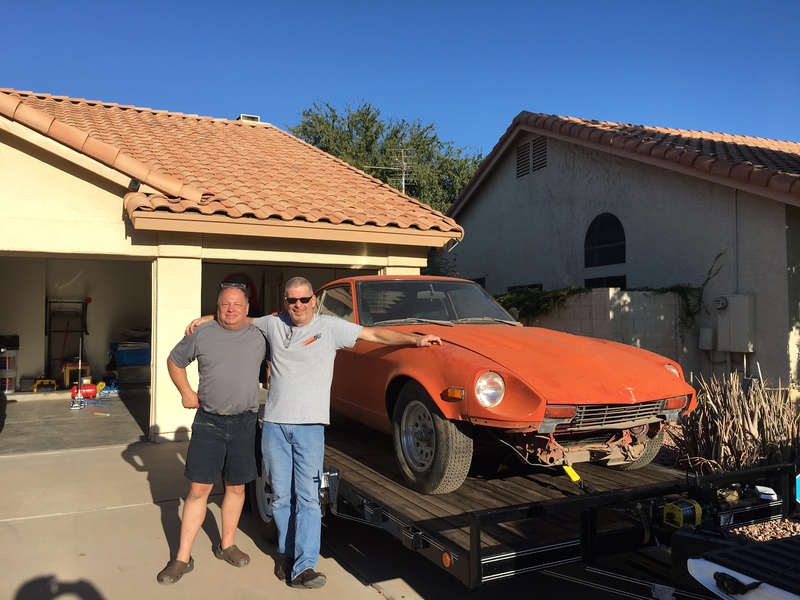 Approximately 30 days later the deal was consummated, the car was loaded on a trailer and brought home to begin a challenging restoration. Looking back, and considering all that has transpired, I can’t help but believe this was meant to be. The story of Scarab #160 has now come full circle and the dream is once again alive. To be part of such a small fraternity, for such an iconic car, is indeed an honor. 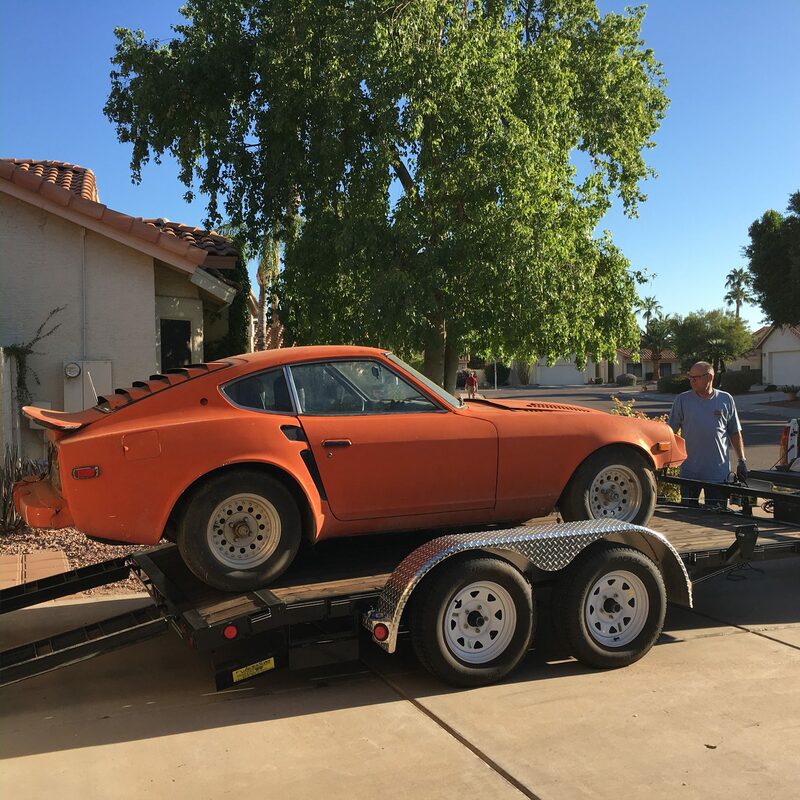 I look forward to the journey, and the day Scarab #160 is returned to the streets to be shared proudly with the Z community at large. During the course of the restoration, I’ll also be sharing more of the backstory as it comes available. For example, on January 5, 2017, while eating breakfast and watching the local morning news, there was a story indicating Alan Champagne now has a trial date set for March 2017 for the two murders. 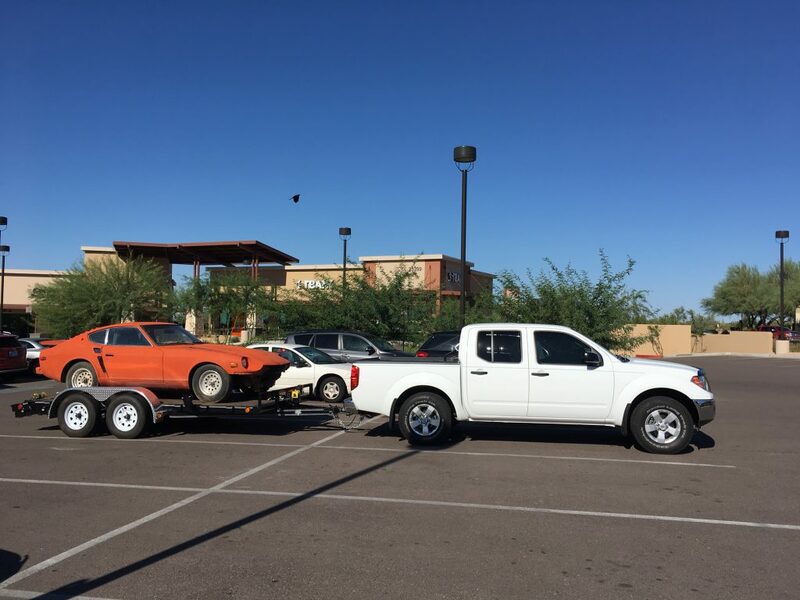 He has pleaded not guilty, and the prosecutor will be seeking the death penalty… but the car he once owned will be enjoying its freedom in due time. Time to begin the restoration – Join us for Part 7!